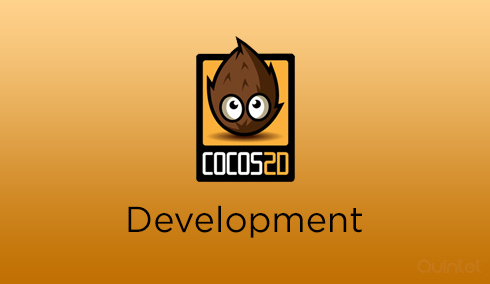 Cocos2d is a leading, royalty-free, simple, easy-to-use, reliable, stable and mature open source game engine for developing 2D games, apps and other cross platform GUI based interactive programs. It has many branches such as Cocos2d-x, Cocos2d-Swift, Cocos2d-html5 and Cocos2d-XNA. With the use of Cocos2D-X, it’s possible to release games for Android with the same codebase. Being Fun, interesting and having an exciting user interface is one of the biggest challenges involved in developing an app, and that’s where we use Cocos2d. With the use of Coco2D we can do any type of animation with just couple lines of simple, pure Objective C code. Along having easy compatibility over all devices, Cocos2D delivers rich gameplay with a wide variety of features. Our Cocos2D game developers’ vast experience enables to overrun quality in the work that they do. We understand that every game concept has its own style and beauty and we are here to give life to your games. Quintet can provide you the most cost efficient Cocos2d development for you. Actions are one of the most powerful features in cocos2D. We use actions to move, scale and manipulate sprites and other objects with ease. Scene is the basic and main element in Cocos2d. We built everything on a scene and atleast one scene will be running at a time. Managing the scenes efficiently is very important and we make sure it is handled properly. The scene transition in cocos2d is entirely handled by the CCDirector, it acts as a Singleton class or game manager which manage and coordinate overall operation logic of the game. Cocos2D makes it very easy to deal with texts, which is important for games in menu systems, score displays, debugging and more. It includes support for embedded TrueType fonts and also a fast bitmap font-rendering system. We make use of these effects library to create our own effects to make our apps look beautiful and outstanding. A sprite sheet is a single bitmap image containing multiple frames of one or more animations and symbols, with a separate data file that contains all the coordinates of each frames within the bitmap. We make use of the sprite sheets for the ease of handling the sprite animation. We make sure our sprite animations are always new and exciting to the users. Cocos2D includes a sound engine which allows easy use of the power of OpenAL without having to dive into the lower level APIs. We use sound engine to play background music and user interface sounds. We usually create the background music in GarageBand to get the perfect feeling of the game and our team make sure the sound and the background goes well with the user-interface. There are two powerful physics engine bundles with Cocos2D and they are Box2D and Chipmunk. We have deep knowledge on both Box2D and Chipmunk and we make sure the app works perfectly according to the human physics. We create the tile maps in tile map editor and save it in a tmx format. We can create orthogonal, isometric and hexagonal tiled maps according to the app requirement. We use this feature of Cocos2d to create some very cool image effects. We can create ragged border around images, hide parts of an image, etc using this feature. There are many particle effects in Cocos2d and we make use of it to create the best effect using different sprites and animations. We believe particle effect is all about the right color, shape and size which makes the essence of it.